The Everyday Life of a Working Artist by Leslie Saeta: A Life Changing Cookbook! On this day before Thanksgiving I have decided to talk about cooking instead of art. Most of my friends think I am a great cook. In truth, I am a good cook with a lot of great recipes. I even put a cookbook together with all of my great recipes (and all of my workshop students have been buying them). But once again, it's the recipes that outshine this cook every time. I recently found a cookbook that I think is going to change my life in my kitchen. A friend of mine suggested it to me and it's called Ratio. I bought it on Amazon for less than $11.00. You can click the link to see it on Amazon. I read the entire book in one sitting. Twice. This “cookbook” frees you from your dependency on recipes and simply explains how to "get your head out of your cookbooks and start cooking". 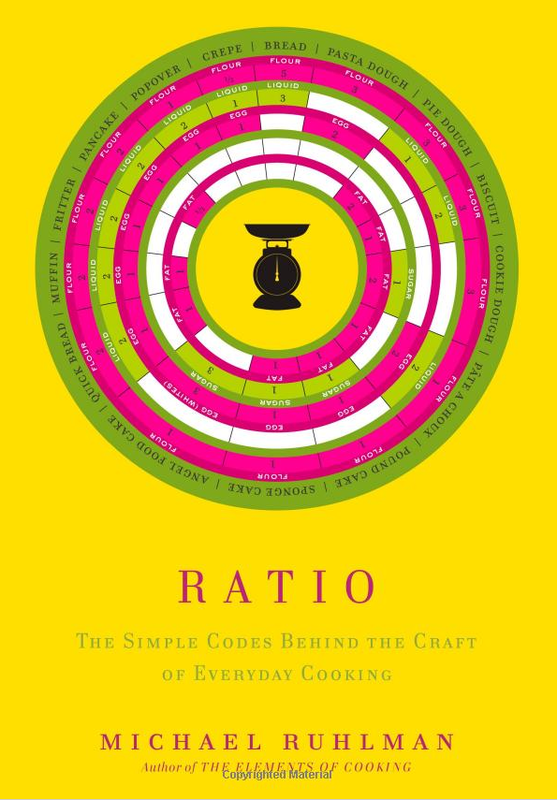 As the back cover states, "Cooking, like so many endeavors, is defined by relationships. For instance, knowing exactly how much flour to put in a loaf of bread isn't nearly as useful as understanding the relationship between flour and water, or fat, or salt. That relationship is defined by a "ratio", and having a ratio in hand is like having a secret decoder ring that frees you from the tyranny of recipes." The book shares thirty-three essential recipes and variations. 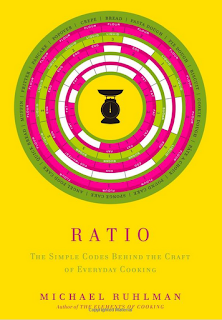 With these ratios you can cook in your kitchen WITHOUT recipes and make countless doughs, batters and sauces without ever again having to look at a recipe. I now know the ratio of pie dough is 3-2-1, three parts flour, two parts fat and one part liquid. With this small amount of information I am heading in to my kitchen to make my Thanksgiving pies … without a recipe. Sorry Betty Crocker, but I don't need you today. And I can't wait!